It is hard for us in modern day to get a good grasp of the Psalmist's use of the word heart in this verse. In the Old Testament Hebrew language the word heart had a broader sense of meaning than it does for us. We hear the word heart and we think of the organ pumping life to our bodies. Or we think in terms of sentimentality, emotion, and romantic love. 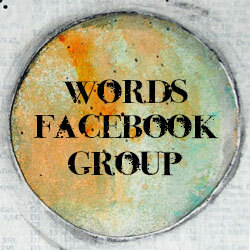 Or we use it to express an intense like for something as seen in the I "heart" everything stickers and paraphernalia. Heart, when used in the Old Testament, means the whole of our innermost part. It would include our emotions, thoughts, will, and soul. Many times in the Old Testament the word leb/lebab (heart) is translated as either heart or mind. This OT meaning of heart has been on my mind a lot lately as I have been co-leading a Bible study at my church looking at spiritual formation that combines the heart and the mind. In Christian circles we often place a higher value on knowledge and the mind when it comes to our faith. This Hebrew meaning shows us a more complete form of knowledge and faith that encompasses every part of us -our whole being. Jesus tells us in the Gospel of Mark that the most important commandment is, "Love the Lord your God with all your heart, with all your soul, with all your mind and with all your strength." Mark 12:30. Loving God is physical, emotional, mental, and spiritual. It encompasses our entire being. 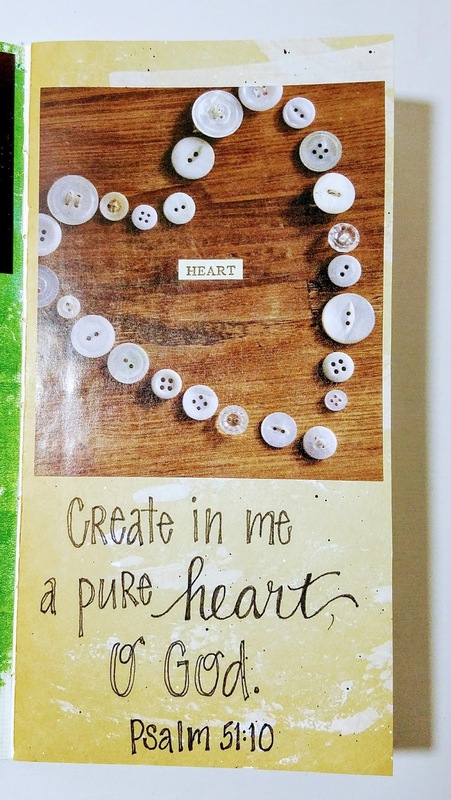 So, what does it mean in Psalm 51 when he asks God to create a pure heart in him? The desire for a pure heart is central to our journey from Ash Wednesday to Easter. Psalm 51 is a prayer for forgiveness and cleansing. In this Psalm we can follow David's example as we come face-to-face with our sin and iniquity before God. Turn your heart to God (verse 1). David looks to God, to His unfailing love and great compassion. God alone is the one we are to turn to. He alone is the one who can forgive us and restore us. Pray for cleansing (verses 2 & 7). We seek to be made right with God - in His sight. Confess your sin (verses 3-6). We saw in yesterday's verse, 1 John 8-9, that when we confess our sins to God, He is faithful and just and will forgive us and purify (cleanse) us. Confession enables us to see our brokenness and to humble ourselves before God. Seek forgiveness and renewal (verses 10-12). God's forgiveness creates in us a pure heart, a renewed spirit and restored joy in His salvation. This Psalm also reminds us that it is not the practice of fasting itself that purifies us. God is most concerned with our heart, with who we are and who we become. As we journey through Lent, fasting and repentance, confession and mourning, are practices to enable us to re-connect with our sinfulness and prepare our hearts for Easter.